Since its inception, Hilltop Montessori School has emphasized sustainability and global education as it directly relates to our mission. 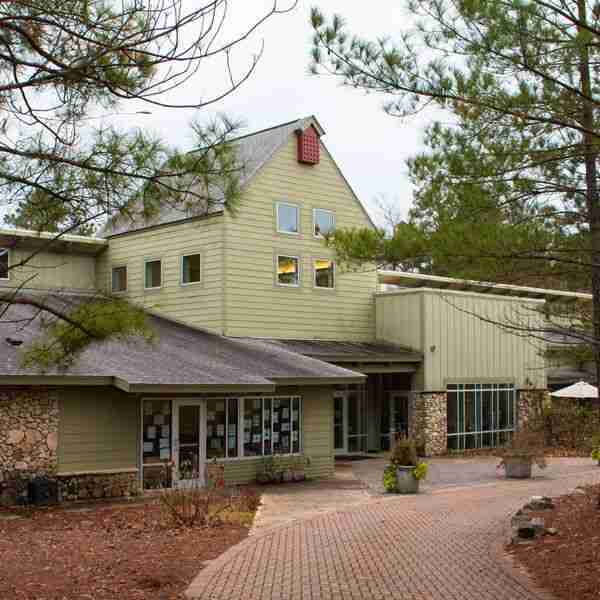 Housed in a LEED (Leadership in Energy & Environmental Design)-certified building by the USGBC (U.S. Green Building Council) and located on approximately seven acres of wooded area in the Town of Mt Laurel, Hilltop strives to teach global responsibility throughout each child’s day, complementing Maria Montessori’s cosmic curriculum. We are especially proud of our beautiful, healthful building. Our main campus is built to LEED certification standards and received the LEED designation in 2004. Our most recent expansion, Phase Three, is built using the same “green” principles of design. North-facing clerestory windows provide optimal day lighting in the center of the building where the perimeter windows cannot reach. This contributes to the daylight that is provided for more than 75% of the spaces in the facility. This also helps us achieve the 20.9% savings above the standard energy model for a building of this size. Modeled after Alice Waters’ Edible Schoolyard Teaching Kitchen, the Richard Grandey Teaching Kitchen is a multi-use space for the community of Mt Laurel and Hilltop Montessori School. 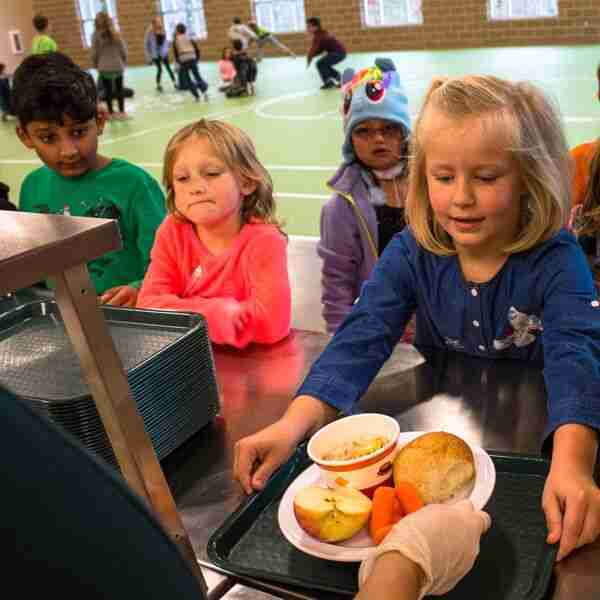 Serving all natural and locally grown food, the students have the option of a fresh, nutritious (but still kid-friendly) lunch prepared on site through our “Farm to Fork” lunch program. After hours, the community space accommodates events for our area. The teaching kitchen also accommodates students in small groups with hands-on activities, integrating science and math to food preparation in keeping with the Montessori model. Hilltop uses rain barrels among our outdoor classroom areas for rainwater collection, which is then used to nurture the plants in our gardens. Minimal concrete and pervious paving on the property allows for less impact on local sewer systems. Excessive rain run-off from the property is directed to a bio-swale, where it percolates and returns to the water table. Purposeful landscaping that includes an emphasis on native plants, and does not include sod, requires less water and directly highlights to the children the beautiful native plants of Alabama. Natural “butterfly bushes” and other native areas surrounding the school attract local wildlife and encourage an ecosystem on campus that allows the children interaction with nature throughout the day. 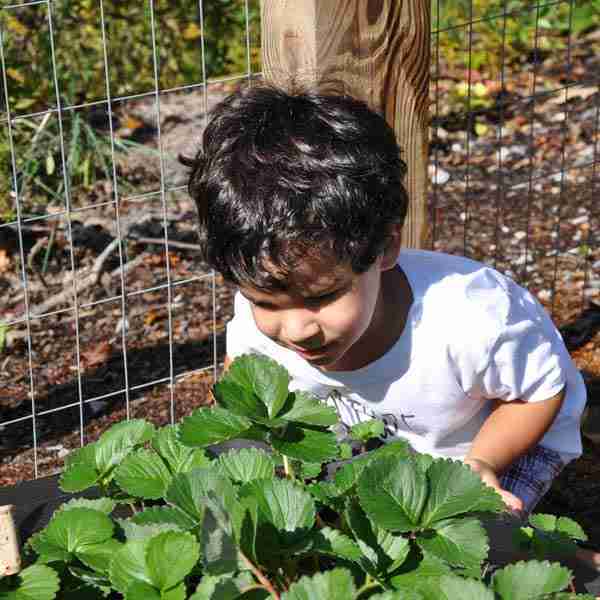 Hilltop Montessori School students participate in gardening organic and fresh vegetables outside of each classroom, and the harvested produce is integrated into the children’s practical life experiences, food preparation and nutritious snacks. Through this outdoor learning experience, the children are exposed to the benefits of botany, the seed-to-plate relationship and the uniqueness of being able to prepare and eat what they grow. Good nutrition is emphasized, and the students regularly dine on Swiss chard, tomatoes, okra and other foods from their outdoor classroom areas. Hilltop’s program is listed as part of the Edible School Yard Project. Donated by our Parent Teacher Organization, a greenhouse in our garden area helps to facilitate further growth of our vegetation, particularly in the winter months. 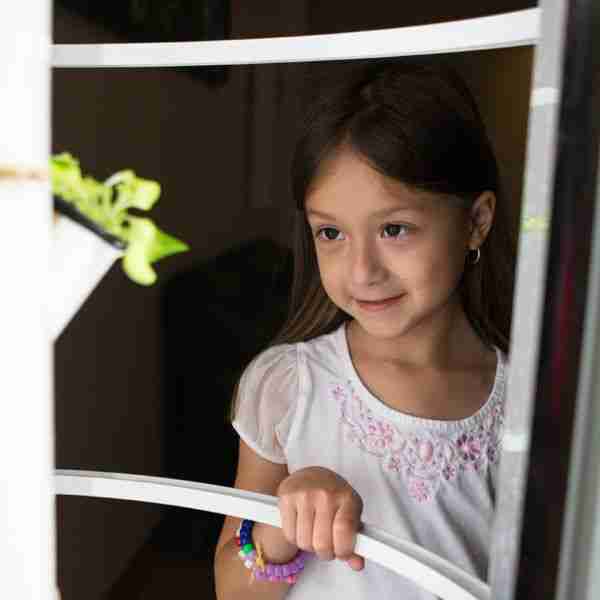 Light boxes grace our classrooms, where even our smallest students watch plants grow to be large enough to move outdoors. The school also has two tower gardens, which grow edible plants using hydroponics. Hilltop’s beautifully natural surroundings extend throughout the design of the campus. A state of the art HVAC constantly brings in fresh air to the pristine classrooms and great care is taken to ensure that the environment is clean, fresh and healthy. Studies have shown that occupants of green buildings are sick less often and the school feels this is particularly important for children. Classroom pets enjoy being taken care of by the students but are housed in appropriate “homes” within each learning environment. 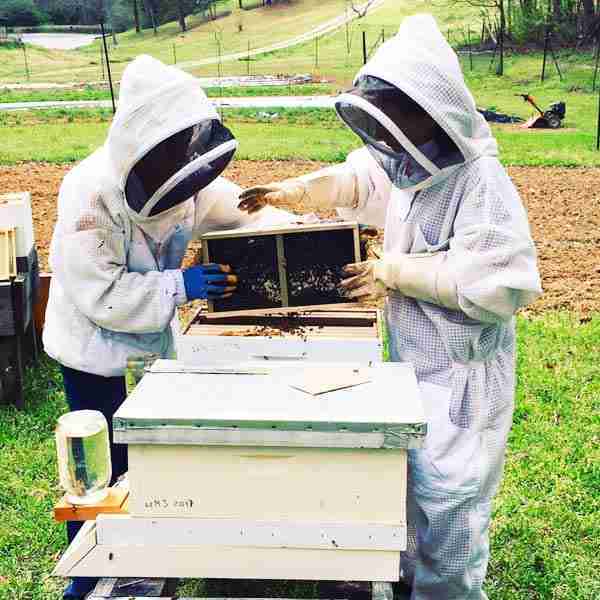 We have an apiary on site that is tended by several of our staff members who are apprentice bee keepers. The honeybees have been a great addition to campus, and the students have enjoyed learning the benefits of having bees on site. Fresh honey is integrated as part of the children’s snacks as it is available, and learning more about the process of the hives, the life cycle of the bee and the precautions necessary to beekeeping has added excitement to the students’ environmental curriculum. 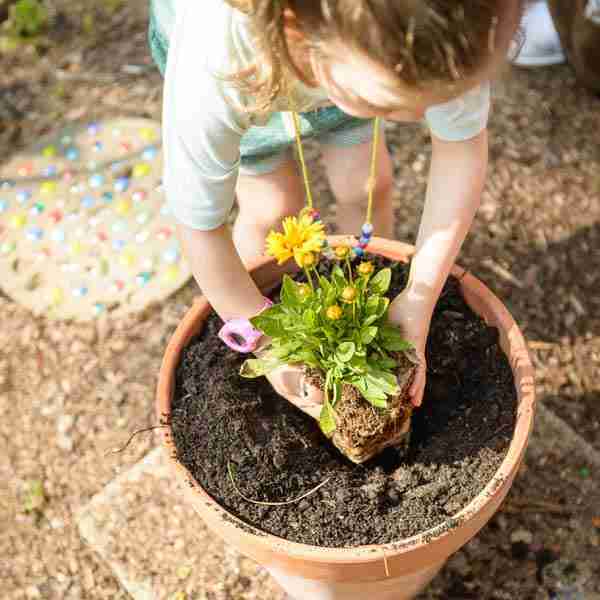 The school’s campus contains a butterfly peace garden, raised garden beds through Whole Kids Foundation grants, a native plant trail through a grant from Legacy and the entire campus is certified as a National Wildlife Habitat. Great care is taken on our Mt Laurel property to honor native plants and leave as much wildlife as possible. Bluebird boxes, squirrels, chipmunks and other wildlife live in harmony with the students. Each classroom also has an outdoor garden and working space. As with other schools, daily cleaning is a must, and our staff uses environmentally friendly cleaning products for a more healthy environment for the children. Carpets are steamed annually using natural products, and the older students are encouraged to clean up using healthier methods that have less potential to aggravate breathing issues such as asthma and allergies. With less toxic cleaning materials being used in the building, along with our state-of-the-art HVAC unit, which constantly brings in fresh air, the building is light, healthy and clean, offering not only a beautiful, but a healthy working environment for the students and other stakeholders in our community. Hilltop implements a comprehensive recycling program throughout the school, in every classroom and office space. From paper to aluminum to plastic, bins are placed around the school to encourage participation from all of the building’s occupants, from the 18-month-old students to the adults. Students also regularly participate in composting and other environmental pursuits, such as worm vermiculture. 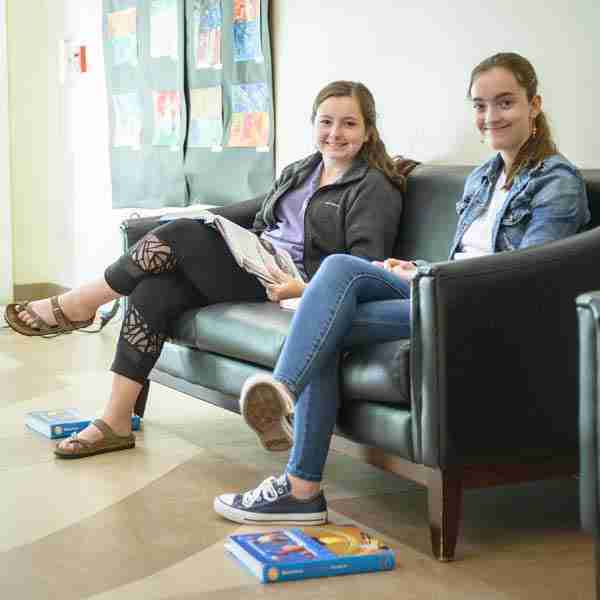 Hilltop Montessori School is located in The Town of Mt Laurel, and we share the town’s green common areas, including but not limited to the athletic field, the basketball courts, the community playground and the library. 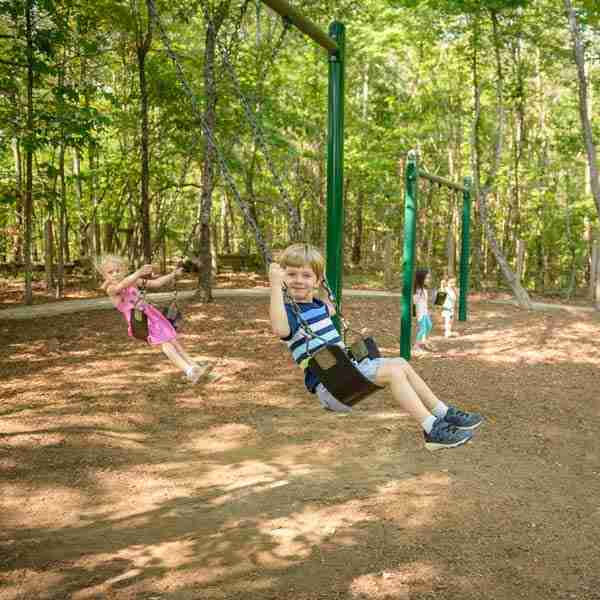 With the generous commitment to the school, Mt Laurel also permits our older children to hike to Spoonwood Lake for studies on ecology, recreation or to simply enjoy the beautiful community surroundings as part of physical education and science studies. The lively and bustling town center boasts local restaurants and stores that our students and their families enjoy before and after school hours. 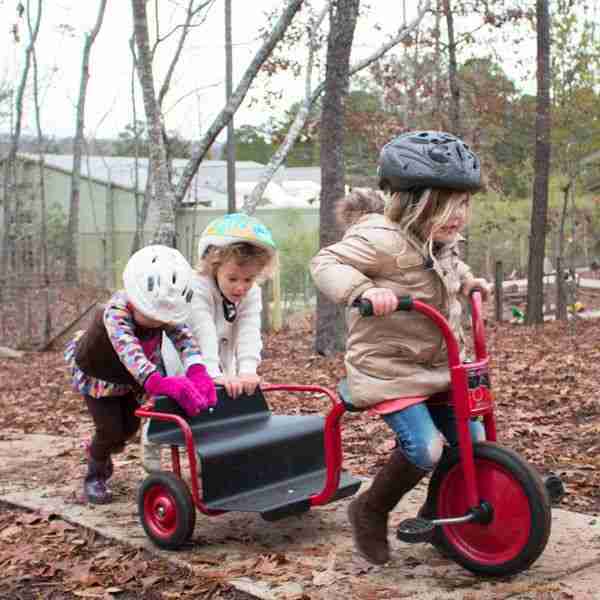 Hilltop Montessori School has received several grants from organizations supporting our environmental education initiative, including the “Whole Kids Foundation” (Whole Foods), two from Legacy, two from the American Montessori Society Ursula Thrush Peace Seed Program and support from private donations. The entire campus is certified with the National Wildlife Federation and houses a native plant trail, raised garden beds, tower gardens and an apiary. Two of our alumni worked on campus for their Eagle Scout badges to make our campus beautiful. Our edible gardens are also registered with the Edible School Yard Project. 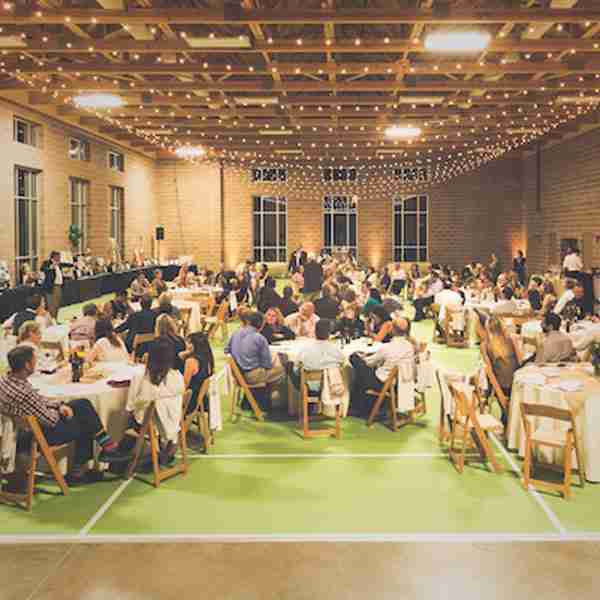 In keeping with our mission, the school also continues to host community outreach events, including a “Deep Roots Gardening Dinner”, which brings together the school’s stakeholders for a farm table–themed dinner. 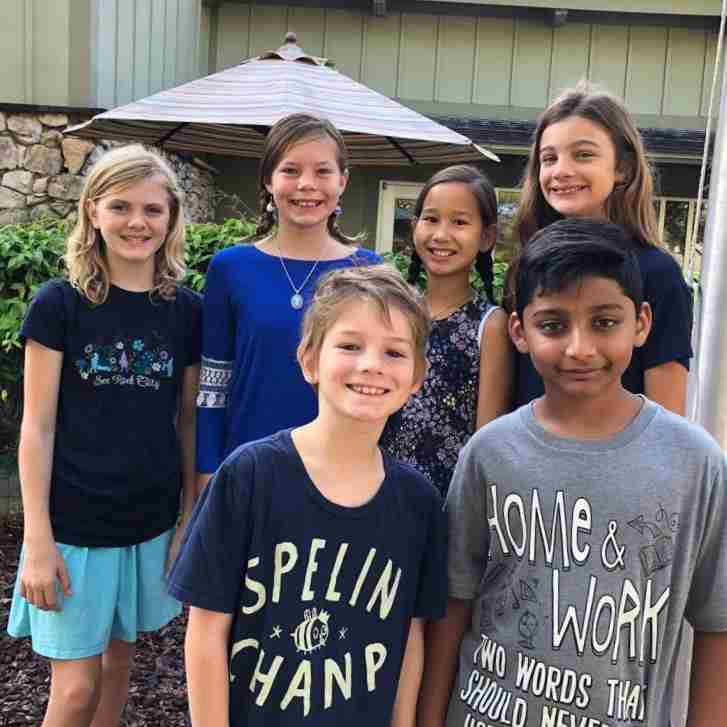 With Hilltop Montessori School’s emphasis on community, environmental education and healthy living, our students truly live and breathe the school’s mission. Last year’s fundraiser raised over $84,000 for the students, thanks to the generous support of our many stakeholders.